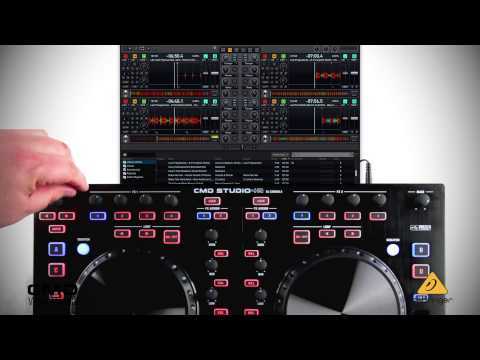 The CMD Studio 4A provides all the tools needed to learn the basics of DJing – or to work the dance floor into a virtual frenzy. This is no crippled budget controller; Studio 4A has the very same features you’ll find on the bigger, more expensive controllers. And the Studio 4A not only includes those features – it actually improves on them. Find yourself disappointed when you get in front of a DJ controller and see those tiny little faders? We feel the same way. Tiny pitch faders just feel wrong, so we broke out 100 mm faders for Studio 4A's pitch controls. 60 mm channel faders translate into smoother mixes, so we added those as well. Those sizes are an industry standard for a reason, right? Another area where most controllers fall short is platter size. The trend is smaller and smaller platters, in an effort to knock the overall size of the controller down. We say bigger is better, so the Studio 4A packs 6" touch sensitive platters that work the way you've come to expect coming from industry standard equipment. After the faders, the platter is your main contact point on a controller – shrinking that down to a tiny little rubber disc just isn’t satisfying. So you buy a controller and get it home, only to find out that you have to go right back out and buy a soundcard? We built a 4-out USB sound card into the Studio 4A, so you're ready to go right-out-of-the-box. This high-quality audio interface has 24-bit converters and provides ultra-low latency operation in either Windows or OS X. No one wants to look up at the DJ and see him looking at his computer screen like he’s updating his Facebook page. And as a DJ, you don’t want to be forced to constantly look at the computer instead of reading your crowd. The CMD Studio 4A addresses this by incorporating plenty of MIDI feedback. That means that if a button is lit in your software, it’s also lit up on the Studio 4A. It’s easy to get the big stuff right, but it’s the little things that usually slip through the cracks. 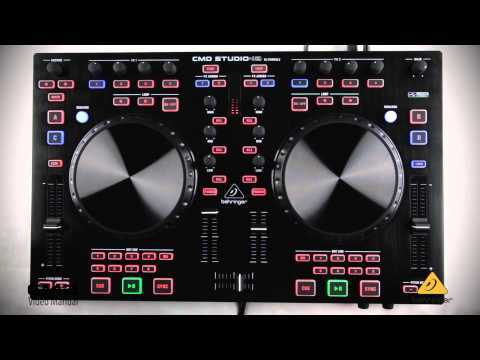 Modern DJ software typically has between 5 and 8 hotcues, yet many controllers in the market only have 3. The Studio 4A has 8 hotcue buttons. 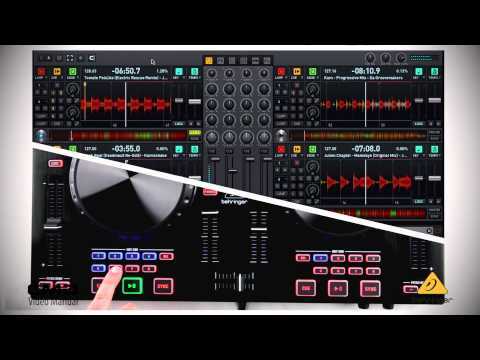 Most DJ software is capable of running 4 or more virtual decks, so the Studio 4A can control up to 4 virtual decks. The same goes for other features, like library navigation, looping controls, EQ kills, keylock, and much more. The CMD Studio 4A gives you full control of your software and doesn’t leave off those ”little” features like our competitors often do. And we manage to pull this off while offering the CMD Studio 4A at a price that’s much lower than the other guys. When you combine this type of value with BEHRINGER’s extensive warranty program, you have a monster DJ solution, no matter your experience level or application.